MONTREAL-based STINGRAY is syndicating its “THE REAL WAKE UP WITH VINNIE AND RANDI” show across ALBERTA. Effective today (1/21), the program, which originates from CKGY (Real Country 95.5)/RED DEER, AB, has been expanded into a regional morning show heard on 15 STINGRAY-owned stations in rural communities across the province, from HIGH PRAIRIE to BLAIRMORE. The show, HOSTED BY VINNIE TAYLOR and RANDI CHASE, with producer KINGSLEY IWENOFU, will cover regional content every morning, with hyper-local content coming from each affiliate. 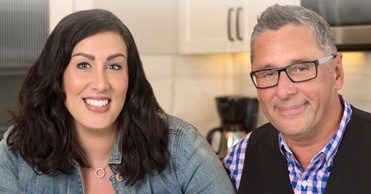 All stations carrying “THE REAL WAKE UP WITH VINNIE AND RANDI” will continue to provide local news, weather, sports, and community information.